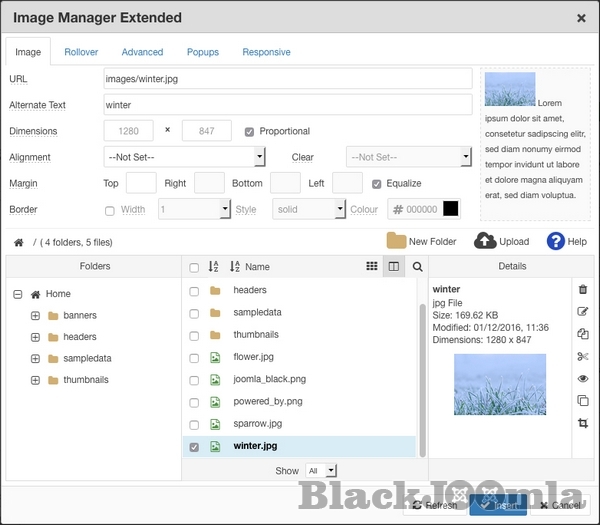 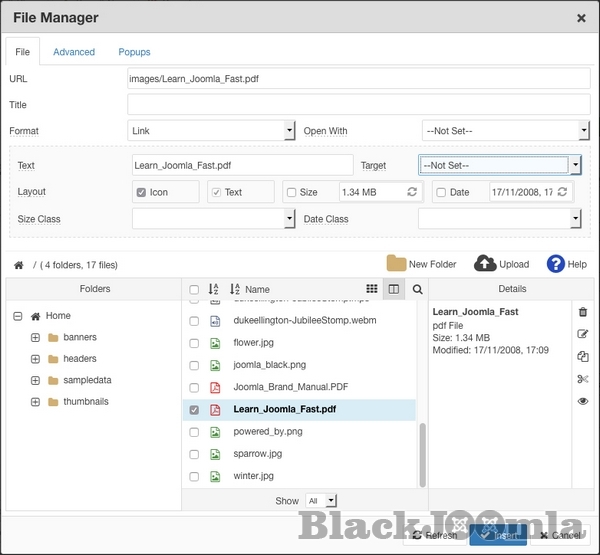 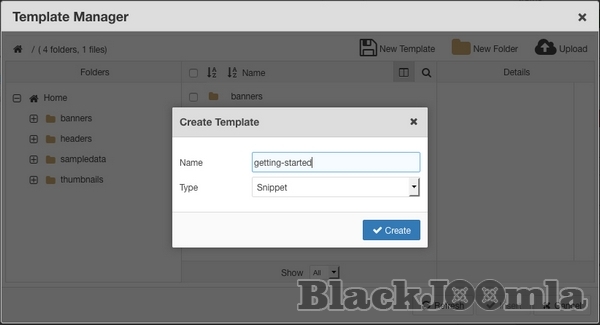 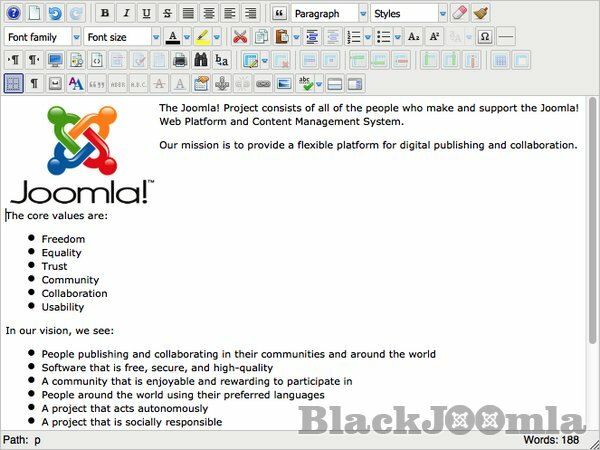 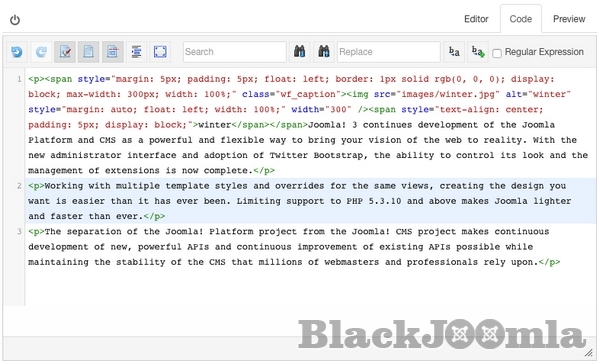 Includes advanced Image, File and Link handling, plugin support, and an Administration interface for editor configuration. 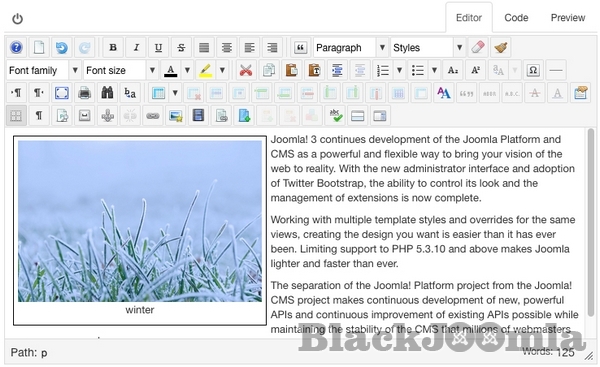 Fine-grained control over the editor layout and features with Editor Profiles assigned by area, component, usergroup and user. 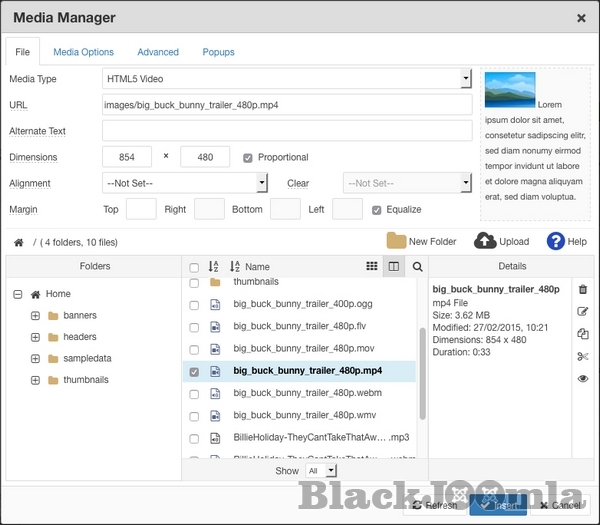 Upload and insert a range of common media files including AdobeÂ® FlashÂ®, Apple QuicktimeÂ®, Windows Media PlayerÂ® and HTML 5 Video and Audio.